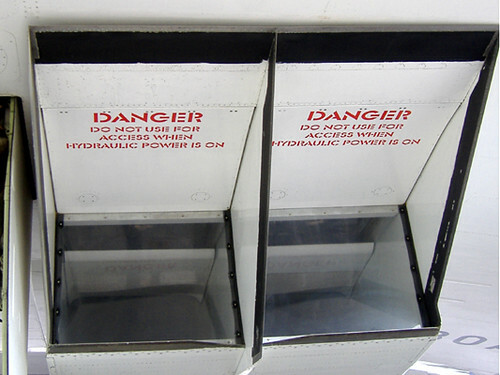 Once, one of the chaps, went in the airtake whilst hydraulic power was on, despite the sign advising the contrary! Oh how we laughed. Also, there was a short mini-bus tour of the airfield itself, taking in the sites. Infact, Filton Airfield is the Europe's Second Largest site for the number of portakabins. Location: Trafalgar Square, Saturday 12th May 2007, 3pm. Description: An unholy hybrid between horse and man like something out of The Wicker Man. The Ragman, who looks after the costumes. The Musicians, who make the noises on squeezeboxes. 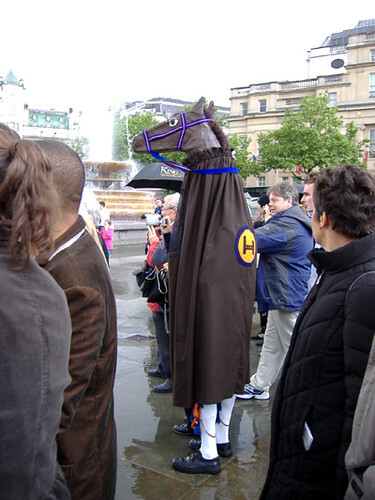 The Hobby Horse, who entertains the crowd and collects money, which he then gives to the bagman. So the moral of the story goes, Morris dancing isn't actually that weird, because if its tradition you get away with it.